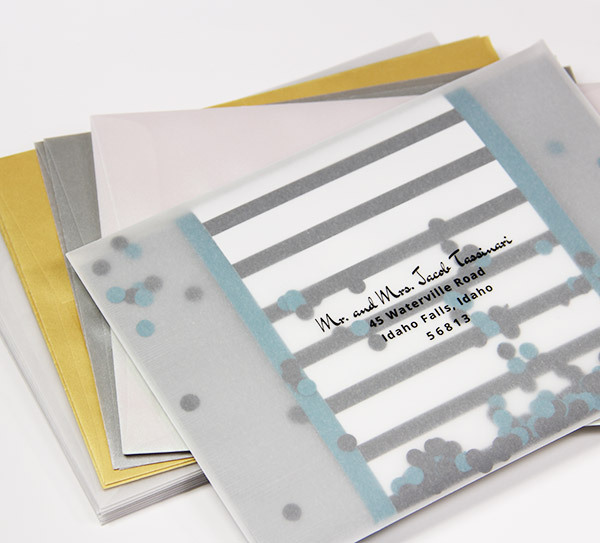 Our pearl color metallic A2 translucent envelope is a statement in luxury! This envelope is a must see and must use for special note cards, fine stationery & wedding invitations. Although Curious translucent envelopes are sheer they are not completely see through but instead a semi clear vellum. Using these envelopes to mail your special occasion invitations and birth announements will absolutely wow your family and friends.